Gray Culbreath represents corporations, individuals and insurers in trials and appeals. For almost 30 years he has handled complex trials and appeals in federal and state courts across South Carolina. His career has taken Gray from Army courtrooms to every federal and state courthouse in South Carolina. His principal areas of practice include all types of complex commercial and class action litigation, including antitrust, product liability and mass tort as well as claims of sexual abuse.Gray’s practice includes defending product manufacturers in product liability suits brought both individually and as class actions for economic loss, personal injury and property damage. He has represented a number of different industries including automotive products, building products, heavy machinery, industrial equipment, pharmaceuticals and water treatment chemicals. Gray has handled numerous cases involving explosions and fire losses. In addition to his products practice, Gray continues to defend organizations alleged to have hired persons who have sexually abused children. His expertise in this area dates back to his career as an Army JAGC officer, where he defended soldiers accused of those crimes.As a trial attorney, he has tried over 100 cases to jury verdict in federal and state court. Gray has briefed argued over 20 appeals at the Fourth Circuit Court of Appeals, the South Carolina Supreme Court and the South Carolina Court of Appeals. 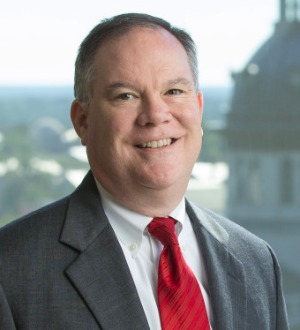 He is frequently hired to write Amicus Briefs for Chambers of Commerce and Trade Organizations for submission to federal and state Appellate Courts.He has been recognized by numerous legal publications including Benchmark Litigation, Best Lawyers, Chambers USA as well as South Carolina Super Lawyers. He has been named Lawyer of the Year for Bet the Company Litigation and Mass Tort Litigation/Class Actions by Best Lawyers. Locally he has received numerous awards including the Gold Compleat Lawyer Award from the University of South Carolina School of Law. He is a past President of the South Carolina Defense Trial Attorneys Association.Born and raised in Columbia, South Carolina, Gray received his B.A. from Wofford College and his J.D. from the University of South Carolina. He serves on the firm’s Executive Committee.